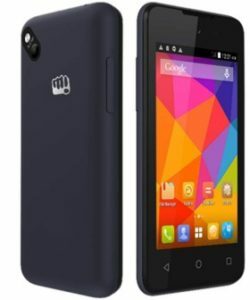 If you are Micromax Bolt D303 user and want to download the required drivers for your device. Then you are in the right place. Here, you will find USB Driver and flash tool driver for your Micromax Bolt D303. Micromax Bolt D303 was launched back in 2015, July with Dual-sim mechanism. It has a beautiful design and packed with 4.0 inches display considering capacitive touchscreen. It runs on Android 4.4.2 (KitKat). For better performance, the phone include Dual-core 1.3 GHz cortex-A7 processor. It offers internal memory of 4 GB with 512 MB RAM and also support micro-SD card upto 32 GB. The camera of the phone include 3.15 MP Primary camera with LED flash including Geo-tagging and VGA secondary camera. The connectivity medium include WLAN, Bluetooth, GPS, Radio and USB. It is powered by Li-Ion 1300 mAh battery to support the power back-up. The sensor on the phone include Accelerometer. The price of Micromax Bolt D303 in India starts from 3,700.